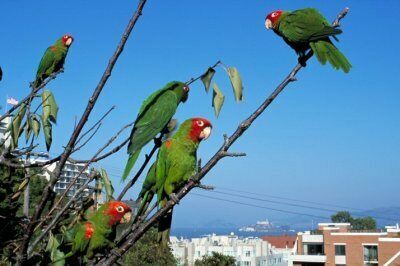 One generally associates parrots with the jungles of a tropical location, yet living in the middle of urban San Francisco is a flock of wild parrots. 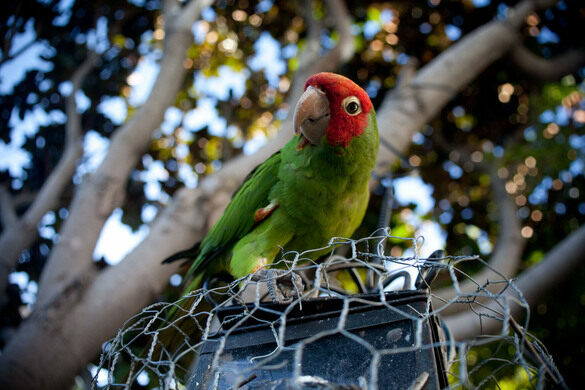 The parrot flock began around 1990 when one pair of escaped cherry-headed conures (a small parrot species) quickly found an ecological niche on Telegraph Hill. 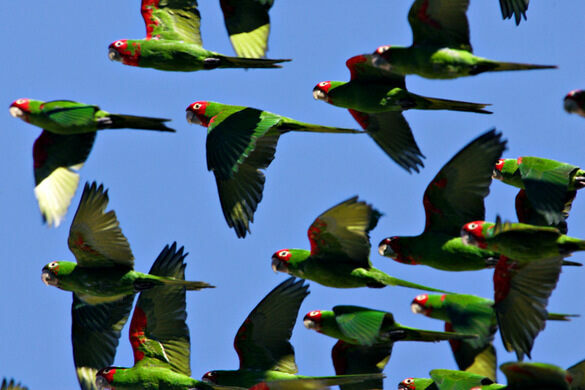 Joined by other escaped (or released) conures from the city of San Francisco, the flock continued to grow, and after a couple generations of offspring, the flock had grown to over 200 wild parrots by 2005. 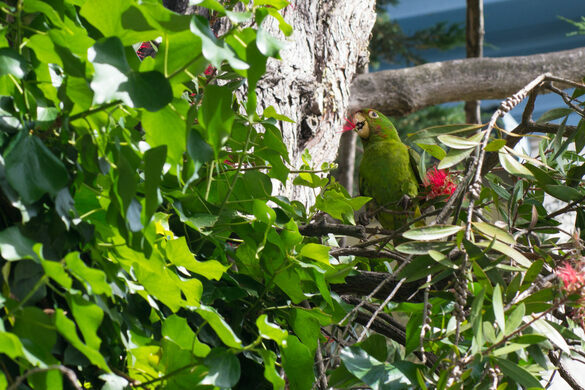 Today, the parrots of Telegraph Hill can be spotted all over the city, and have been spotted as far south as Brisbane. Winding down the hill are the Filbert steps, and residents on both sides of the staircase have wonderful gardens with fragrant flowers. Even when not in bloom, the lush gardens are beautiful. Surrounded by gardens with the wild parrots flying overhead, it is a lovely urban jungle. 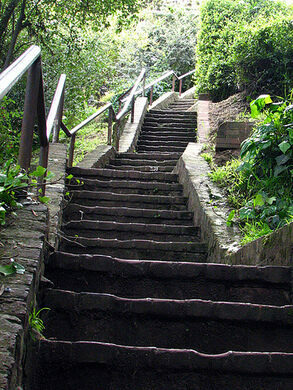 The steps are quite exhausting, so be prepared to walk! Can be accessed from the top or bottom. The bottom is at Embarcadero, across from the old Levi's plaza, and is not very impressive, but very steep. Can be accessed at the top from Filbert and Kearny, or from Telegraph Hill Blvd.During the day, it may be easier to see more parrots in the trees throughout nearby (and easier to get to) Sue Bierman Park, near the Ferry Building.